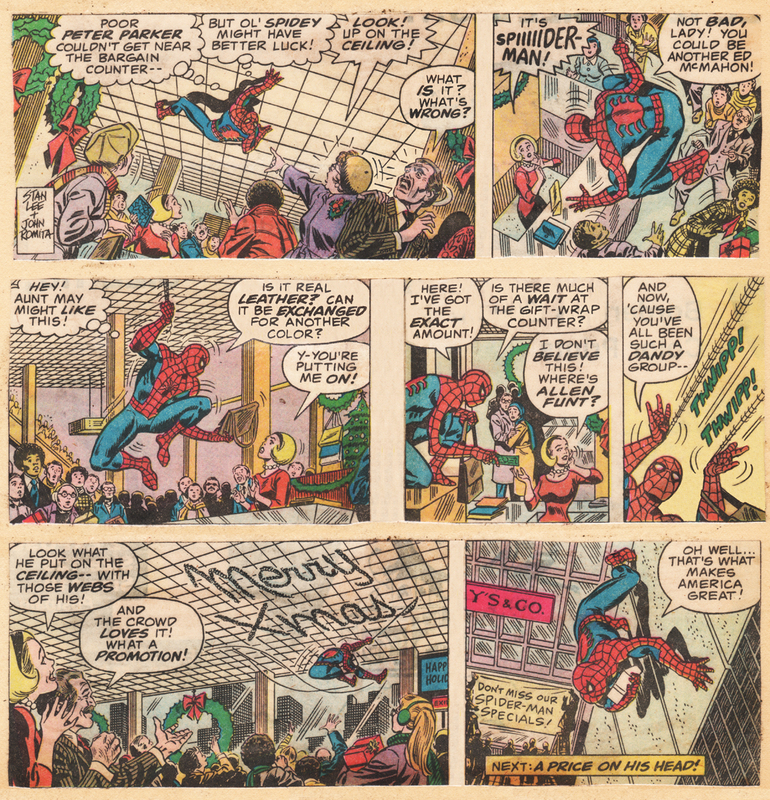 When the Spider-Man newspaper strip came out in the late 1970s I was 11 years old. Out came the scrapbook and scissors and I started collecting. 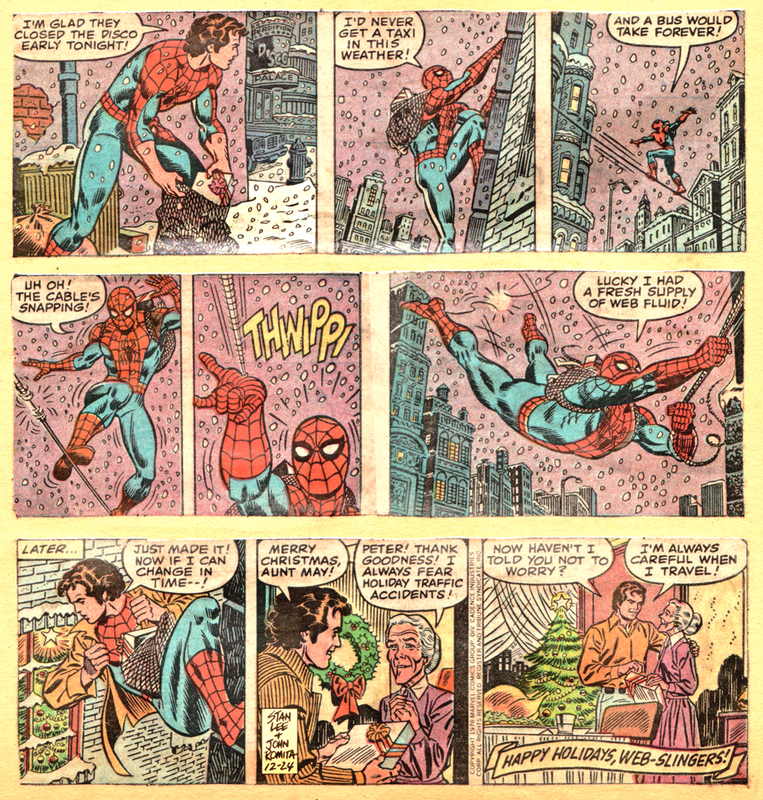 The following are a few of the holiday strips Stan Lee and John Romita did for the strip. Please excuse the slight yellowing that comes with age and rubber cement. The first is dated 12/18/1977. The second one is for 12/25/1977 – Christmas day. So remember when Peter was a DJ for Flash Thompson and Harry Osborn’s disco night club, Perdition? This one is from December 24, 1978 – when disco was king. 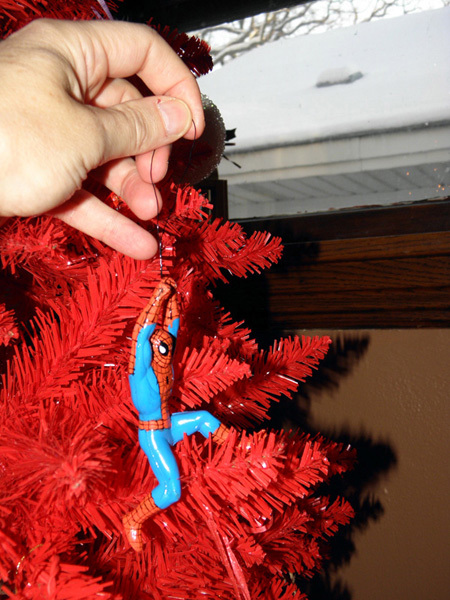 I always loved how Stan Lee and John Romita touched base like this in real time on the holidays. It was a great way to connect to the readers. And with that said – Happy holidays web-slingers all! 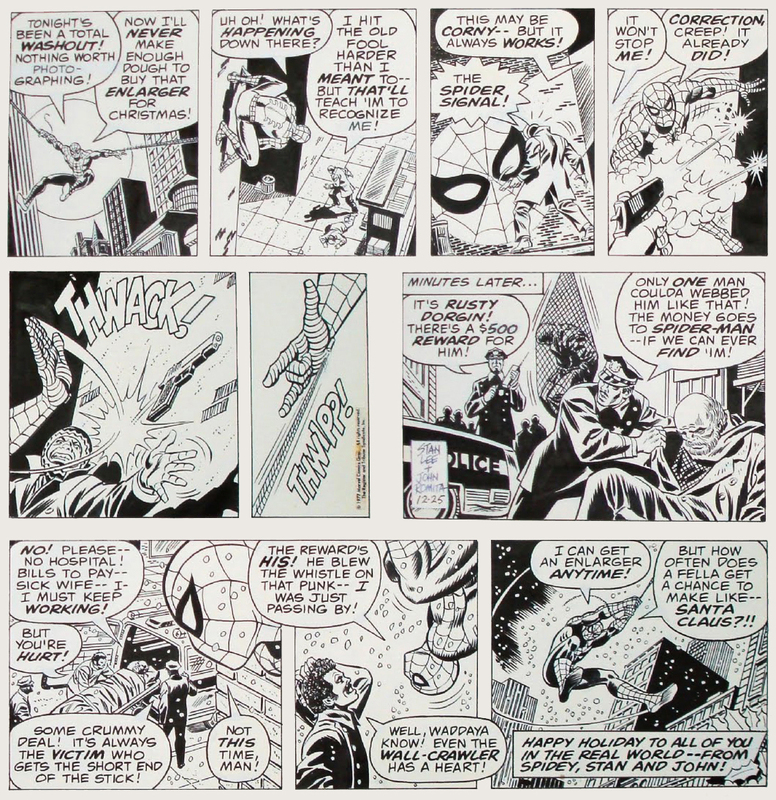 This entry was posted in Artists - Cartoonists, John Romita and tagged John Romita, Spider-Man, Stan Lee. Bookmark the permalink.